Fishing boats in Costa Rica set out at dawn on their ambitious quests. Blue marlin, the holy grail for anglers, thrives in the warm waters of the Pacific. Danny Lombardo, a fishing charter captain who has been leading successful trips for years in Costa Rica believes there is no better place for anglers than Costa Rica, “It’s one of the places in the world where you can average 10 or more billfish bites per day consistently with the possibility of seeing or catching 4 different species in the same day.” he says. Now, there must be few other places on earth that can beat that record! Dry Season or Verano (December-April) The dry season is marked by clear skies and calm waters. Together, they set the stage for some serious billfishing in the Pacific. Starting December, the billfish make their way into Central Pacific. Their numbers start swelling from January through April. Many a tournament is launched, creating near frenzy among anglers to exhibit their competitive prowess. A word of caution though: fishing anywhere on the world rides on luck and attitude, and so does it in Costa Rica. However, you can average at least 10 bites (if not more) on a lucky day. Your chances of reeling in a blue marlin, black marlin, and yellowfin tuna are best from January to March. The same period is very good for sailfish, snapper, roosterfish, and dorado. As this period of sunny to hot weather coincides with winter in the US, Canada, and Europe, it attracts people in droves from these countries. The dry season thus records the highest footfall each year and consequently, prices also go up. The season that picks up in November around Thanksgiving, peaks during Christmas and is kept well alive through spring break in April. Wet Season or Invierno (May-November) It is when Costa Rica receives most of its rain, which averages 100 inches. Also called the green season, Invierno comes as a relief from the summer spell. Fortunately, the rains are mostly confined to afternoons and evenings, which leaves a window of opportunity open for fishing in the mornings. During May, June, July, and November (called the hedge months), it only rains for a few hours in the afternoon. October, by far, is the rainiest month. As the wind currents change direction during the wet season, a lot of fish can set off in search of oxygen-enriched waters elsewhere, leaving the fields open for tuna fishing. Aided by spinner dolphins, which give away the location of large schools of tuna, you can gather footballs (tuna that weighs 10-20 pounds) and cows (game fish tuna that weighs 200-300 pounds) in a hunt packed with suspense. 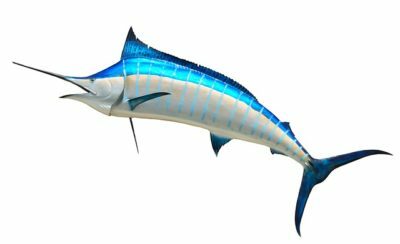 Even if your chances of getting close to the coveted billfish look comparatively dim during the wet season, you will soon forget that when you snag a rooster fish or snapper. You may also get anywhere from zero to 10 bites from dorado, but that again depends on how your luck runs on that particular day. Inshore fishing is focused usually around islands, reefs, and coves, the natural habitats for non-migratory fishes like the rooster, snook, snapper, grouper, and amberjacks. Since these fish never go away anywhere, inshore fishing can be enjoyed all year round. With light equipment and practical wisdom of the crew, you too can close in on a smart snapper or a rugged rooster. The Quepos area of Costa Rica is famous for inshore fishing. If your heart is set on the deeper treasures of the ocean, the marlin, sailfish, wahoo, or yellowfin tuna, you need to head as far as 120 miles into the Pacific. 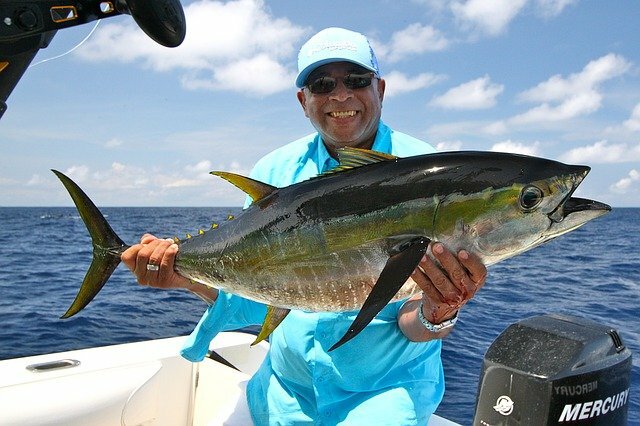 Equipped with sonar, GPS, and state-of-the-art fishing gear, and steered by a hardy captain and crew, your offshore fishing trip could result in some epic encounters with the elusive marlins, which travel at a speed of 60 miles an hour. For seasoned anglers, offshore is the ultimate in fishing. So what are you waiting for? Start planning your Costa Rican fishing vacation right away. A great time is guaranteed, no matter whether you are a new, lapsed, or an accomplished angler. Remember to pack your camera and leave your tackle behind. They aren’t as effective in the Pacific as they are in the Atlantic. All the leading fishing charters in Costa Rica are fitted with top class gear for the fast-paced fishing demanded by the Pacific. Write to us to pick the right one and ensure your fishing in Costa Rica tops every other experience.